Hope it will be helpful for someone! As you can see from the skills we knew on which part of the game we will work and that’s first tip for you guys. Know your team and make game that match your team skill set. 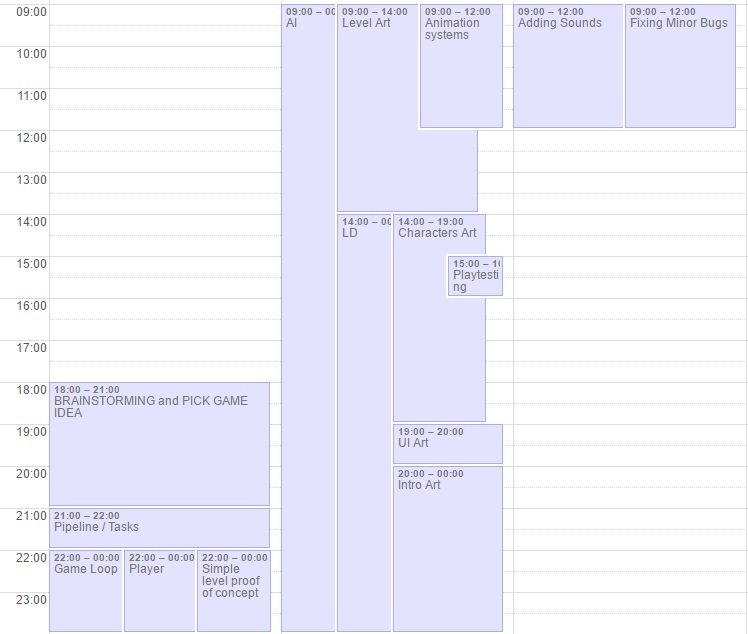 During every game jam our time management is the same. Basically the game is AI / Animations / Events oriented so Jacek with Kacper were doing a lot of job to cover this and I focused almost only on level design. As for the picking game idea we need to be sure we all want to do such game. We dont want to change our minds that’s why we have invested a lot of time for brainstorming and talking about ideas before choosing one. Beside of quick production they just look great! 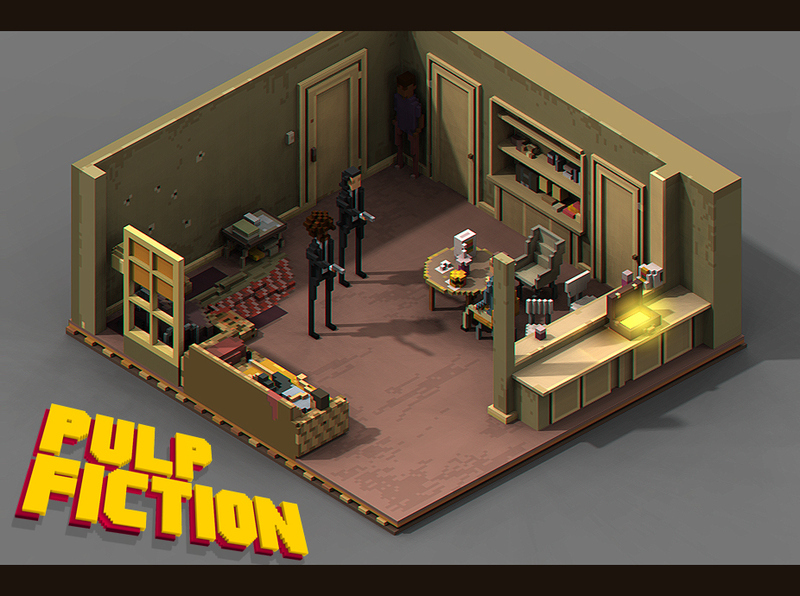 We are in love with 3d pixel art! For lighting we used only dynamic lighting with one Movable Sky Light and custom cubemap. We wanted to have possibility to choose which color will be emissive as we weren’t able to store additional data in UV. We could use different material ID for this but it require to open 3d software like Blender or Maya and change UV by hand (takes time) Another thing is we wanted to keep things simple without adding not necessary draw calls as the mesh topology is complex. Thanks to this we are using only one simple material for Voxels in entire game! You could change RadialGradient for small texture instead generated by shader. For example Character have base class in C++ then two others in Blueprints, one for gameplay and one for art/animations. Thanks to this everyone can work at full efficiency in the same class. CharacterBase is base C++ class for any character in the game. Then PlayerCharacter (C++) is base class for the player and then PlayerBP( Blueprint ) and finally PlayerFinalBP (Blueprint) which is connected with Game Mode. 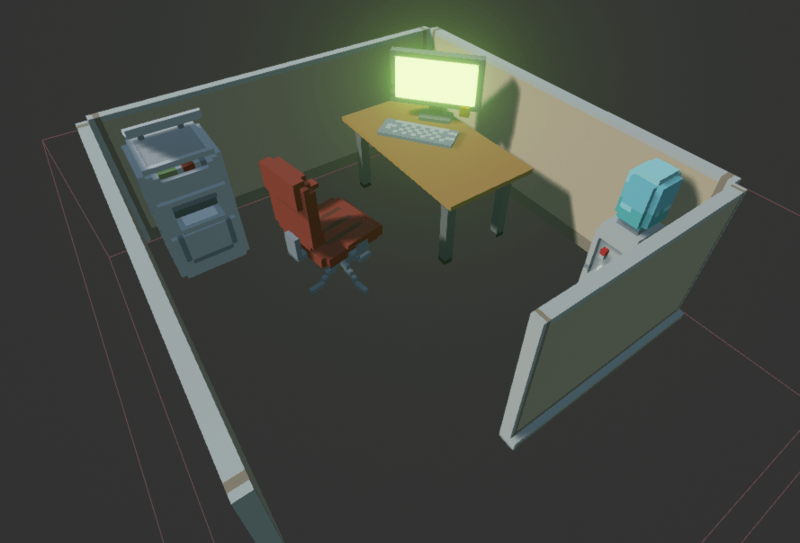 We were using Blueprints as prefabs so we don’t invest our time to place a lot of assets. During the game jam we spent a lot of time thinking about how we want to approach animations. The ideal way would be to have something like skeletal animations but it would modify the position of the voxels rather than morph them. But it’s not something you create during a game jam. We decided that we will create our own simple animation system. It was based on custom Anim Sequences that were just an array of animation frames (here being static meshes). You were able to specify the amount of FPS and animation events (for handling things like when to apply damage etc.). In addition to that, we had a simple state machine that would decide which sequence should be played. We were able to react on animations in Blueprints. AI was an important part of the game, so we were iterating the AI code constantly during whole duration of the game jam. It was based on our custom implementation which is something between a state machine and HTN (Hierarchical Task Networks). Thanks to that it was easy for us to implement new type of actions and simply add them to our AIs behavior. While the girls have a simple behavior (they just do their routine like sitting, standing or wandering) the security’s behavior is a bit more complicated. There are two types of security behavior and it is selected so that there are always about 30% in what we call a “spread” behavior and 70% in “chase” behavior. The chase behavior is just running to the last known target location and if the chasing character loses sight of his target he starts to search for him. Firstly near the last known location broadening the radius at fixed time rate. The other behavior, “spread”, is something taken directly from Pacman! The AIs that are running it spread around the map and then run to their target flanking the player in result. We had almost the same team in our earlier game jam – Grand Theft Taxi which went well, but this time we would like to ship Intensive Exposure on Steam – we have added a lot of new content and polished it a lot. If you haven’t done this yet – support us on Greenlight! Great article !! 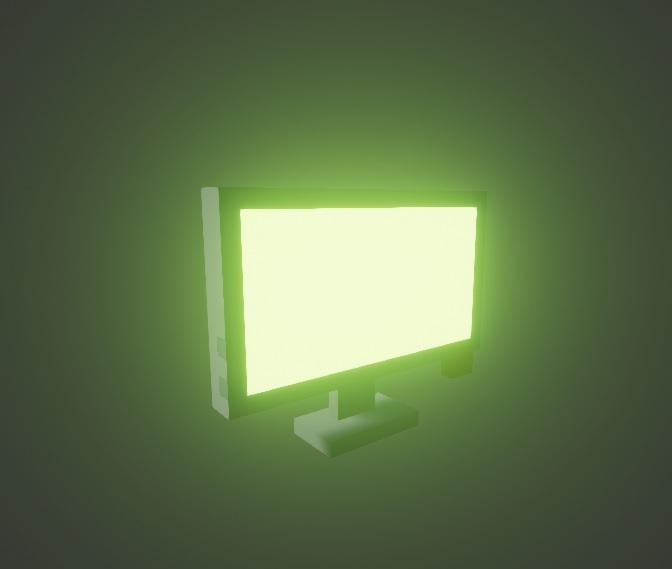 Quite inspiring 🙂 I’ve tested Your voxel material, created Material Instance based on it, pointed color that should be emissive and defined power but after lights building objects become completely black ? What could be the reason? I forgot to mention that palete texture need to have Filter set to Nearest – then it’s easier to pick emissive color. Previous PostPrevious My GameJam Game on Greenlight!